The 35th annual Christmas in Christ Chapel celebration, “The Word Becomes Flesh” was held Friday, Nov. 30, Saturday, Dec. 1, and Sunday, Dec. 2. 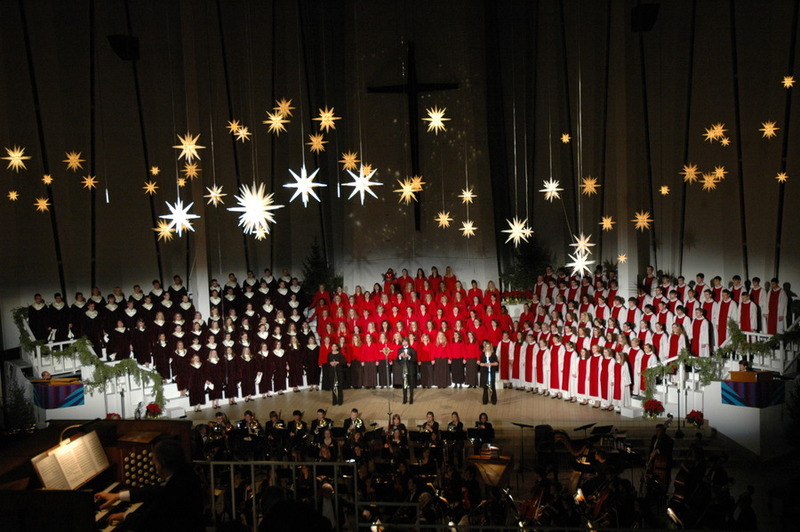 The worship celebration featured The Gustavus Choir, The Choir of Christ Chapel, The Lucia Singers, and The Gustavus Symphony Orchestra, among other talented performers. On Monday, Dec. 24 on KMSU FM 89.7 (Minnesota State University, Mankato) will broadcast the entire service. This broadcast will be streamed live at kmsu.org. Selections will also be broadcast from 12:30 to 1 p.m. Monday, Dec. 24 on KNUJ-AM 860, New Ulm.